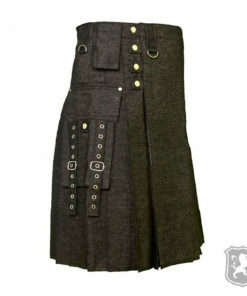 Denim Kilts for Men are made up of Genuine denim of premium quality. 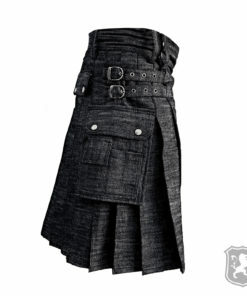 The prices of these Denim Utility Kilt are pretty reasonable. 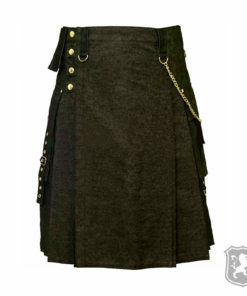 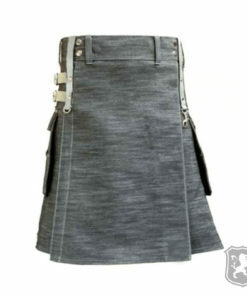 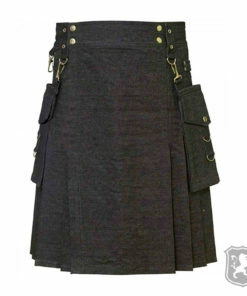 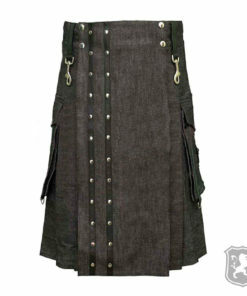 It is a perfect choice for people who are in love with both denim and kilts. 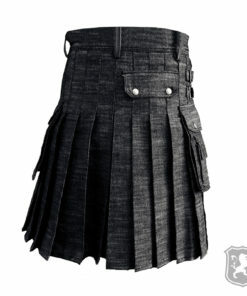 These Denim Kilts are purely custom and handmade by our expert makers. 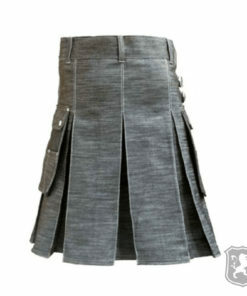 Our makers ensure that your Kilt is stand-out among all the kilts out there. 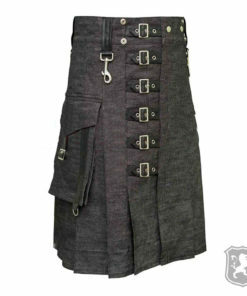 You can even ask for customization in any of our kilt or Jacket. 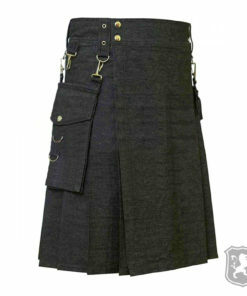 Delivery Time: It takes us 10 business days to manufacture and ship a made to measure Denim kilt.